Jimmy Choo's 'Misty' sandals are destined to be worn at parties all year round thanks to their eye-catching metallic finish. Crafted in Italy, they have a slim platform which balances out the high heel. 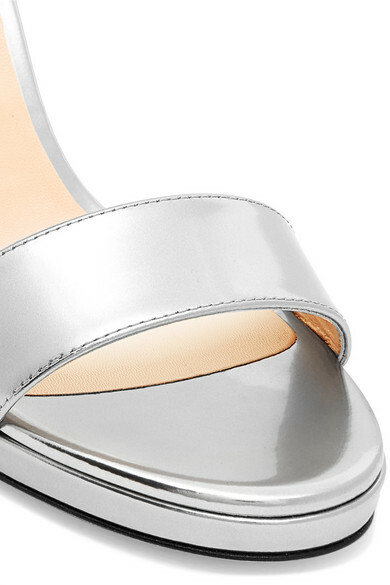 Match your jewelry to the shimmering silver leather. 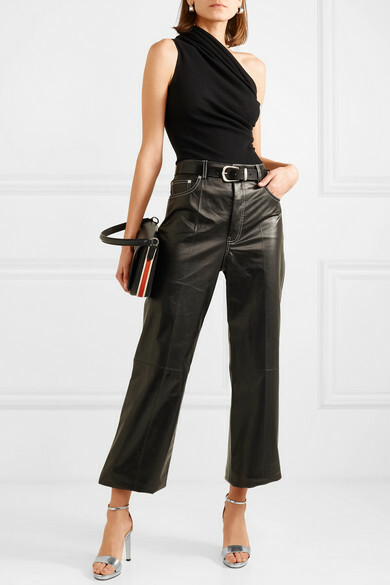 Shown here with: Helmut Lang Pants, Rick Owens Top, CALVIN KLEIN 205W39NYC Shoulder bag, Isabel Marant Belt.